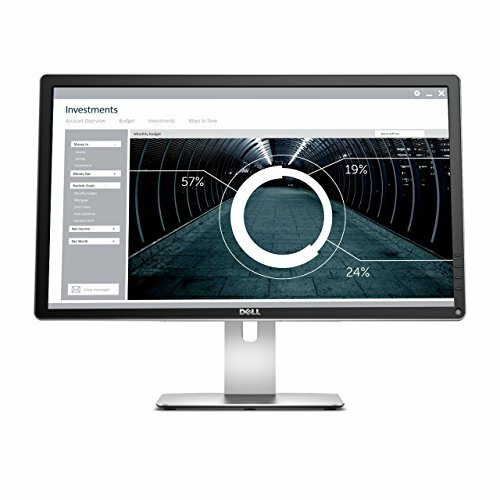 The Dell Ultrasharp U2415 is one of the top of the line from Dell when it comes to a full featured 1920×1200 monitor. Note this bigger than 1080p, and a different aspect ratio. In my experience this aspect ratio is superior for programming as it gives you more vertical real estate to work with on your screen. Boasting a large, 24″ screen with an extremely wide 178 degree viewing angle and anti-glare coating, the display on this monitor is perfect. What truly makes this the best monitor for coding is the stand that comes with it. It allows you to raise, lower, tilt, pivot, and swivel your monitor to fit your perfect desk setup. You can quickly and reliable make any adjustment, including going from portrait to landscape and back, in just seconds. Another nice feature when you’re putting two of these monitors next to each other is the extremely thin bezel along the vertical edges to allow a seamless multiple monitor experience. 4k monitors have arrived! 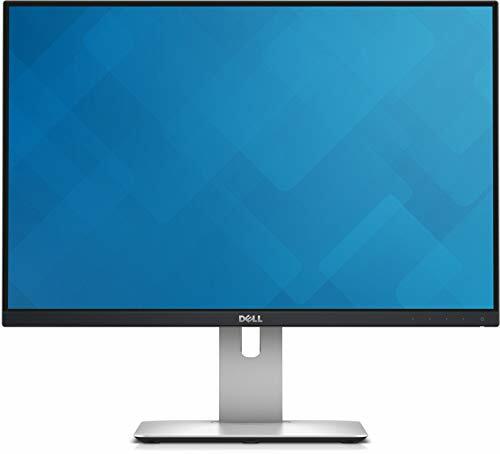 Available in a 24″ or 27″ (I say go big), Dell now has an affordable 4k monitor on the market for 2019 and we can all rejoice. With a 3840×2160 resolution, this monitor will give you more real estate on your screen than you’ve ever had before. 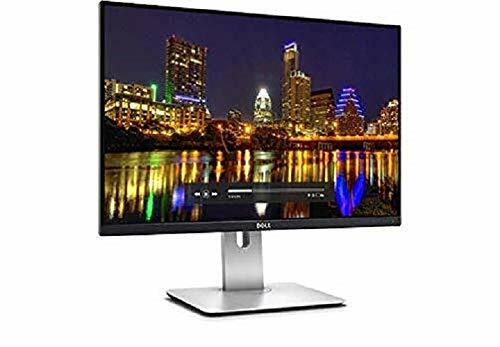 This monitor comes with the same perfect monitor stand and 178 degree viewing angle as the first Dell monitor we listed and also has a high-speed USB 3.0 charging port on board. 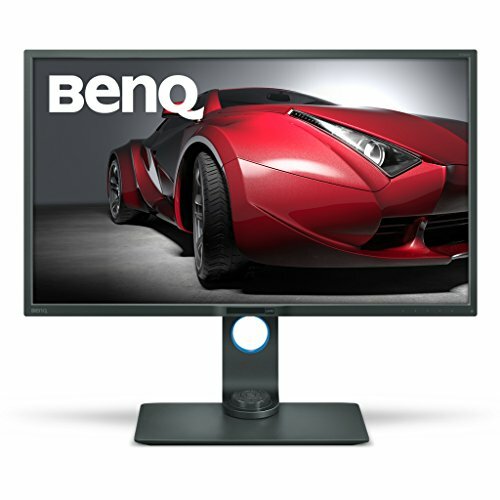 The BenQ PD Series monitor is a robust high-end pick that’s not only suitable for general programming, but also CAD modeling, engineering, and designers. This monitor comes with an awesome keyboard video mouse switch to easily go back and forth between two different PCs, and there’s even a hotkey control to map specific settings. Last but not least, the BenQ monitor is awesome for programming in vertical orientation and auto-pivots the screen contents as you turn it. If you REALLY want to go big, the LG 34WK650 is our favorite pick for ultra-wide monitors. This beast uses a 21:9 aspect ratio and the price is seriously cheap for what you’re getting. For most coders, vertical space is still important. 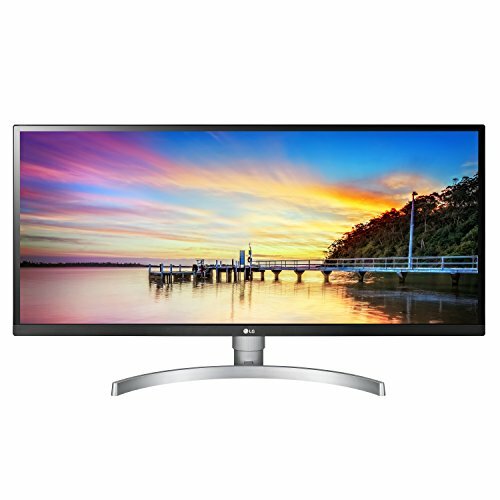 A great setup is using one main ultra-wide monitor, such as this LG, and then another vertical oriented monitor for your main coding. 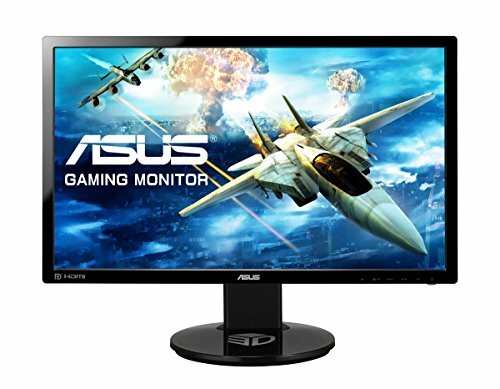 The ASUS VG248QE is an awesome choice for anyone who plans on using their monitor for both programming and gaming. 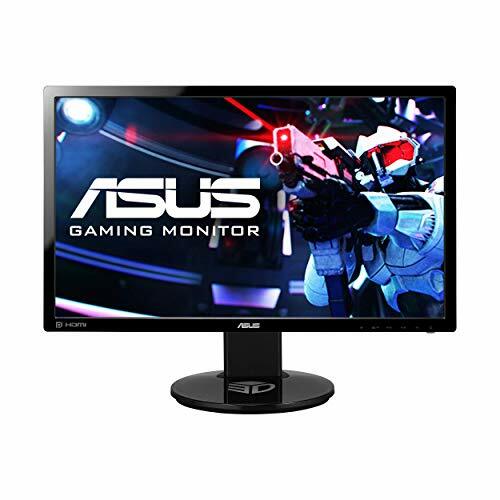 Available in 24″ or 27″, it has a 144Hz refresh rate which makes fast-paced video games display better and with no ghosting or blurring on the screen. Similar to the Dell U2417HJ above, the stand on this ASUS monitor gives you full control of the display. You can tilt, pivot, swivel, and raise/lower the display as needed. You can also go from landscape to portrait all on the included stand. Most programmers will agree, having at least 2 monitors is an absolute must for efficient coding. This gives you one full monitor for your code, and another for any documentation, specifications, chat windows, etc. Some programmers might need a third monitor so they can have a screen dedicated to testing, which can be very important for fields like web or app development. Going beyond 3 monitors delivers very diminishing returns for most programmers. One important thing to consider about your monitors is what kind of monitor stand it comes with. Many monitors only let you adjust the tilt of the screen. Without being able to adjust the height of the monitor, you will likely be left in an un-ergonomic position. To be comfortable at your desk all day, you’ll want to get monitors that come with stands that allow you to fully adjust the position of the screens, or invest in a separate monitor stand that allows you to do such. 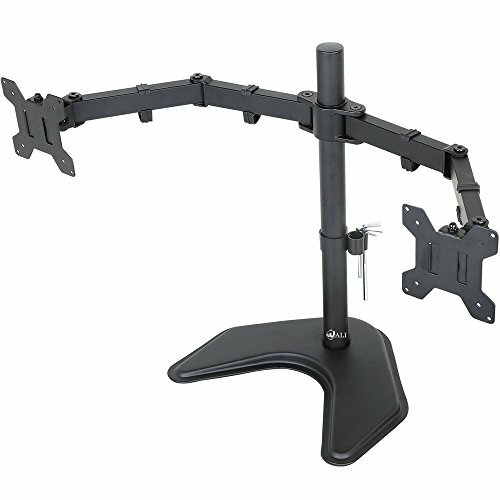 You can find different types of stands, some are freestanding while others clamp to your desk or mount to the wall. Screen size isn’t all that important these days since most monitors come in the 20-24″ range and such a small difference isn’t going to really affect your coding. You might want to choose a smaller screen size to save money, or you may want a bigger screen size because you like to watch movies and game on the same monitors. You may also want to consider the size of your desk. Buying monitors too big for your workspace will make you feel cramped. Either way, it’s a personal preference that won’t have much affect on your programming. 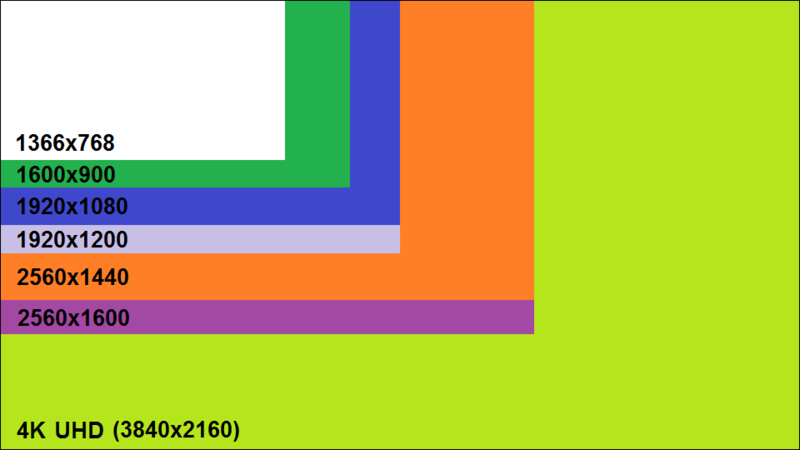 The vast majority of new monitors sold today are going to be 1920 x 1080 pixels which is the standard HD pixel density. You’ll want to make sure your monitors are at least 1080p, don’t go for anything less. Very recently though, 4k monitors have been hitting the market. Billed as “Ultra HD” (UHD), these monitors are 3840 x 2160 pixels. With 4 times the pixels of 1080p monitors, you can display 4 times the content on the screen at once. This can be very useful for programming as it can let you display more code or documentation at once. You’ll also have a “future proof” monitor for when more content becomes available in 4k. However, 4k monitors have some drawbacks. First of all, they’re much more expensive than 1080p monitors. In 2019 the price of these 4k displays have started to fall pretty drastically, and now they’re becoming a serious consideration for your investment. The other, bigger issue is you’ll need to make sure your computer can handle a 4k display. If your graphics card only outputs to 1080p, there’s no point in spending the money on a 4k display. Nearly every monitor you see is oriented in a landscape fashion with the widest portion of the monitor running side-to-side. Some programmers may prefer to have at least one monitor oriented in a portrait fashion, meaning the monitor is taller than it is wide. By using a monitor in landscape mode, you can see more code at once on the screen and have much less dead space out to the side. If you’re health conscious at all, you’ve probably heard about how bad sitting all day is for your health. Read all out it on our guide to the best standing desks. Keyboard Layouts for Programmers - Dvorak, Colemak, or Qwerty? I wanted a relatively large monitor that would mount on the wall and serve for everyday computer use as well as for viewing movies. The primary consideration being that the monitor has at least a 16:10 aspect ratio….. the 16:9 being ludicrous beyond consideration. Turns out that there is precious little out there to choose from…. like NOTHING larger than this one. So, I went with the 24 inch Dell Ultrasharp U2415 because of the excellent Dell Ultrasharp reviews and the fact of it have an extremely thin bezel.